St. Charles Orthopedic Surgery Associates (O' Fallon) - Book Appointment Online! 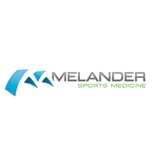 Dr. Melander provides a wide variety of Orthopaedic and Sports Medicine services. As a Sports Medicine Specialist, he has cutting-edge expertise with Anterior Cruciate Ligament (ACL) reconstruction, rotator cuff and labral tears of the shoulder, cartilage restoration, and hip arthroscopy. As an endurance athlete himself, he understands how important it is to get you back to your routine safely and quickly.